Si si senorita!! These shoes are simple yet striking in red. The arch strap sits on the top of the foot and ensures stability and support. 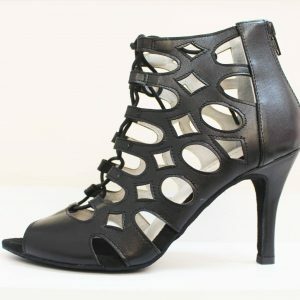 Heels are a comfortable 7cm (2.75 inches) flared heel. All that’s missing is your fan, red tiered ruffle dress and red flower in your hair! Aiii lindaaa!